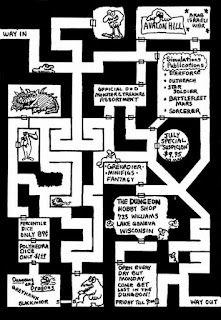 I recently ran across an article touting an Old School mapping t-shirt deign on thehalfling.com here. 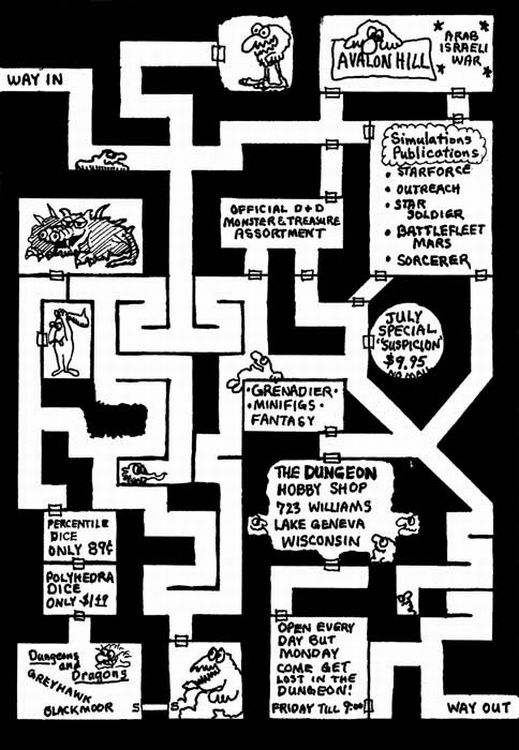 Also, no humorous post on mapping would be complete without a showing by a Tom Wham Old School TSR ad like the one Shared by oldschoolfrp.tumblr.com here. Finally, although Matthew Lowes collection of Dungeon Symbols isn't meant to be a setup for an actual dungeon, I thought it would be humorous to think of it as such here.